I bought Cassie and received her in May. By July I received Hana (in need of some major love. She had a bad haircut and was gritty all over from being sanded while still assembled, etc) I am still working on Hana's reroot, and I knew that once I had Riley it would be harder to find time to work on my dolls; especially since I was not good about consistantly working on Hana while pregnant. For my birthday, I wanted another doll, and my mom and my husband offered to go in together to get me Yula. 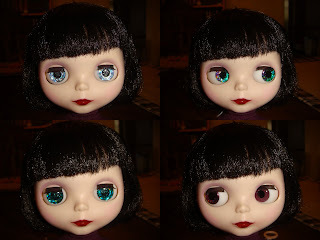 I had plans for my next custom, but could not justify having another doll in pieces. Yula was a good compromise. 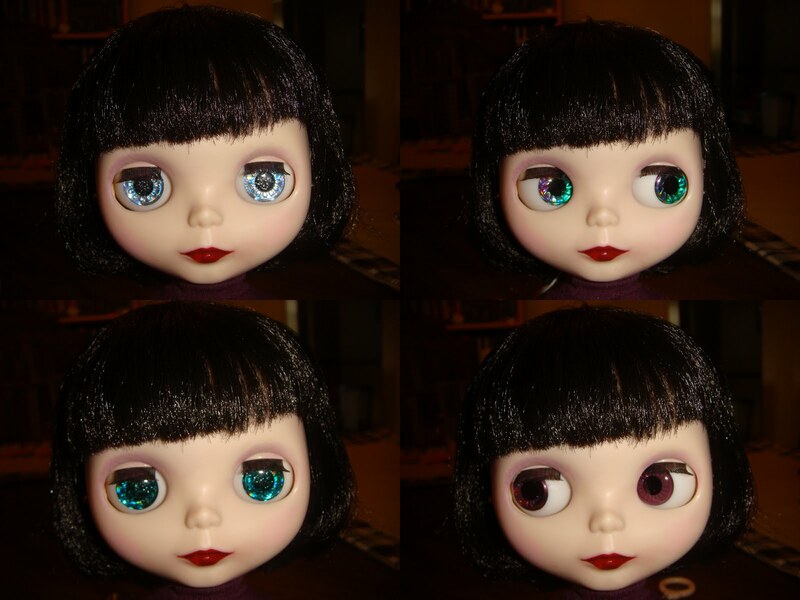 She has the black hair that I would have rerooted myself on a bait doll, but she wasn't much more than buying a doll in pieces (I checked out many options) So I won Yula on ebay and then purchased new chips, a sanding sponge, (what I thought was...) purple saran, and intended to paint her lips.